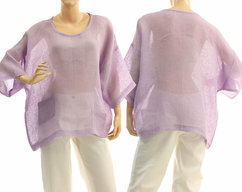 An airy short summer tunic, shirt made of violet coloured linen gauze. 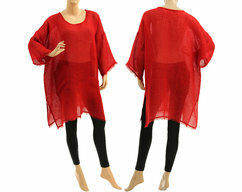 The tunic has a straight wide shape, wide 3/4 long sleeves and a funny hood. 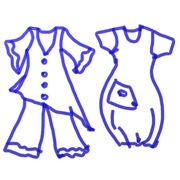 The front part is shorter and semicircular with one pocket. 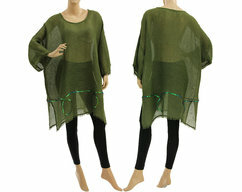 This design is very comfortable, timeless and wonderfully versatile to wear. 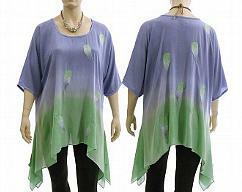 Very light fabric, ideal for the summer, great for your holidays, to wear on the beach.